The S&P 500 index slipped 1.26% on solid volume last week. Wild domestic and global political concerns, coupled with rising trade tensions, have served to subdue the broad market rally in recent weeks. Read our full analysis here. Semiconductors are the building blocks of our modern technological society and the backbone of our digital age. By 2020, nearly 50% of global semiconductor demand is expected to come from China. The S&P 500 index slipped 0.38% on rising volume last week. The current uptrend was stunted due to uncertainty caused by intensifying global trade tensions. Despite those concerns, the S&P 500 index managed to hold above $2750 support, which had served as a barrier to higher prices since March. In addition, the S&P 500 held firm support at its 14 EMA on the week and sits well above a rising 200 DMA. Read our full analysis here. We are excited to announce the scheduled “beta” release of our latest version of the Profit Trakker Trend Trading software, which will be exclusively available to all Platinum members. We will be unveiling this latest version of our trend trading software next Friday, June 15 at 10am CST on our live Trading Mastermind strategy session. Read our full analysis here. 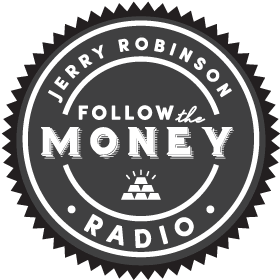 The Robinson Report: The 2018 FTM Summit Is Over… And It Was Incredible! The S&P 500 index rose 0.53% this week after a rough start on Tuesday’s open. The shortened holiday week (Memorial Day) began with a tumbling market on fresh economic and geopolitical jitters coming out of North Korea and Italy. Read our full analysis here. The S&P 500 index slipped 0.53% this week after five days of seesaw price action. After spending several weeks hovering close to its 200 DMA, the index has climbed back above a key ($2670-$2710) resistance zone, which is now acting as a fresh area of support. Read our full analysis here. The market indecision ended this week as the S&P 500 index surged higher on moderate volume levels. After spending several weeks hovering close to its 200 DMA, the closely watched index strengthened amid waning geopolitical concerns. The rally sent the S&P 500 above its 50 DMA, which has served as a hurdle, with few exceptions, since mid-March. Read our full analysis here. The market indecision continued this week as the S&P 500 index pulled back once again to its 200 DMA before rallying back up to the lower edge of its all-important $2680-$2710 resistance zone. While volume strengthened, the price action failed to rally above key resistance. Read our full analysis here. The U.S. Dollar ETF (UUP) broke out above its 200 DMA for the first time since breaking down below that key support area back in May of 2017. Read our full analysis here. It was a wild week in the S&P 500, beginning with strength only to lose most of its gains in the final two trading sessions. The Thursday and Friday selloffs both came on heavier than normal volume — a bearish sign. Read our full analysis here. Last week, the S&P 500 index pushed higher by 2% on moderate volume levels amid easing investor fears over rising trade tensions between the U.S. and China. However, fresh geopolitical concerns (i.e. Syria) will likely lead to continued volatility into next week. Read our full analysis here. Our newest trading idea for Monday is a play on the ongoing trade spat between Washington and Beijing. This one ETF could rocket higher if things keep deteriorating between the two largest economies . Read our full analysis here. After spending Monday through Wednesday clinging to the lower support line of the recent triangle pattern, the S&P 500 index cratered on Thursday morning on fresh concerns over U.S. trade tensions (this time directly with China) and a myriad of other fears plaguing investors. Read our full analysis here. While many tech/growth stocks (think RHT, ADBE, SEDG) continue marching higher in price, the S&P 500 index is hugging its 50 DMA looking for direction. Fortunately for us, the lingering signs of hesitation are now becoming visible on the daily chart. Read our full analysis here. Market conditions appear ripe this week for bullish swing and position traders. See what we are buying in the latest issue of The Robinson Report here. The S&P 500 index spent much of last week trending downwards, falling 2% on the week on higher than normal volume, which is a bearish sign for chart readers. Read our full analysis here. After several days of choppy price action, the S&P 500 index rallied on Friday to close the week with a 0.55% gain. The rally, which pushed the index back above its 50 DMA for the first time since the sharp decline earlier this month, came on lower than normal volume. Read our full analysis here. The S&P 500 index staged a bullish rally last week after the previous week’s massive selloff, in which the index lost its Position uptrend status. Read our full analysis here. After years of a relative calm ascent in U.S. stocks, profit-takers stepped into the market in full force last week amid several days of high volatility trading. Read our full analysis here. The S&P 500 index fell nearly 3.85% last week with 2% of that decline coming on Friday. The selloff was hardly a surprise to experienced traders, especially after the number of S&P 500 stocks trading above their 200 DMA just recently climbed above 80%, which is an area where profit-taking is often, but not always, wise. Read our full analysis here. The S&P 500 continued its ascent last week, unfazed by a small reported drop in the U.S. economic growth rate. Read our full analysis here. Despite a wall of worry mounting in Washington over the recent shutdown of the federal government, the S&P 500 remained unfazed last week, closing at a new all-time high on stronger than normal volume. Read our full analysis here. While 2017 was a banner year for U.S. stocks, 2018 is not showing any signs of reversing course. The first two opening weeks of 2018 have witnessed enormous gains across many sectors, offering the best first 10 trading day performance since 2003! Read our full analysis here. The S&P 500 roared higher in the first week of 2018 as investors piled into Basic Materials, Energy, and Consumer-based stocks while dumping lower-risk utility stocks. Read our full analysis here. The Robinson Report: Announcing Our Top 10 Stocks for 2018! After handily beating the S&P 500 with our Top 10 Stock portfolio last year, we are pleased to announce our Top 10 Stock portfolio for 2018. Read our full analysis here. Since alerting our members to our list of top cryptocurrencies for 2018 just three short weeks ago, all of them have soared in value, most more than 100% — including one that has jumped 1600%! Read our full analysis here. The Robinson Report: Welcome to the Everything Bubble! We are living nearly a decade after one of the greatest stock market crashes in living memory. Since then, the Federal Reserve’s easy money policies have distorted prices and incentives, discouraged saving, and all while encouraging borrowing and ultimately, malinvestment. Read our full analysis here. Long-time crypto investor, Jerry Robinson, reveals his own two personal cryptocurrency portfolios for 2018: One core “investment” porfolio and another highly speculative “penny-crypto” portfolio offering potentially explosive returns! Learn how you can get quarterly portfolio updates and ongoing cryptocurrency research/charting insights here! Global ETFs continue to enjoy steady popularity among traders and investors. We track the trends of 42 global ETF markets. Read our full analysis here. The Robinson Report: Is It Too Late To Buy Bitcoin? The historic stock market rally of 2017 paused last week, ending its longest weekly winning streak in four years, amid a rash of profit-taking by anxious investors. Despite Thursday’s profit-taking selloff in U.S. stocks, the S&P 500 manages to finish the week down just 0.21%. Read our full analysis here. Bitcoin, the world’s leading cryptocurrency, soared again last week, this time topping the $7,500 mark! New buyers flocked to the trade, now up 900% in 12 months, as Coinbase, the largest U.S. bitcoin exchange, announced it added 100,000 customers in one day last week. Read our full analysis here. The S&P 500 and the Nasdaq both climbed to new record highs on higher than normal volume last week after top tech and industrial companies reported blowout Q3 earnings, surprising investors and handily beating analyst expectations. Read our full analysis here. The S&P 500, as well as the Dow and Nasdaq, pushed into record territory once again last week after the Republican-led Senate approved a $4 trillion budget measure, which moves the GOP one step closer to passing its promised (and much-needed) tax reform plan. Read our full analysis here. U.S. stocks posted their fifth week of gains as Q3 earnings season kicked off last week. Despite earnings growth slowing across the board as compared to Q3 2016, 87% of companies that have reported have beat analyst expectations. Read our full analysis here. As the future of electric vehicles revs up, we provide our insights along with four ways to profit! Read our full analysis here. The S&P 500 held its psychologically important $2500 price level, closing at $2502 on Friday after last week’s highly anticipated FOMC September meeting resulted in no surprises. Read our full analysis here. The S&P 500 topped $2500 on Friday on impressive volume, pushing the index to a new all-time high. With all overhead resistance now removed from the equation, the bulls clearly remain in full control of the U.S. stock market despite the wall of worry that looms over the next several weeks. Read our full analysis here. We are in the final innings of the America’s fiat empire. Are you ready? Read our full analysis here. September is finally here. History reveals that this month is the weakest for U.S. stocks with the S&P 500 index averaging a 0.5% loss since 1950. Here’s how we are playing it. Read our full analysis here.